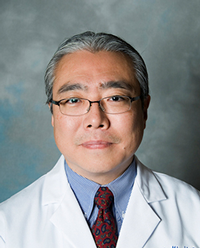 University of Utah Health Sciences has named Satoshi Minoshima, M.D., Ph.D., as chair of radiology at the University of Utah School of Medicine and University of Utah Health Care. Minoshima, an international renowned clinician and scientist in the field of dementia and molecular imaging, most recently held the position of Wil B. Nelp Endowed Professor in Radiology at University of Washington in Seattle. He also served as vice chair of research and as a professor at the school’s department of radiology. In addition, he directed UW’s Neuroimaging and Biotechnology Laboratory. He is internationally recognized for his research, including the discovery of the posterior cingulate abnormality in Alzheimer's disease and invention and dissemination of diagnostic statistical mapping technology for brain PET and SPECT scan interpretation — breakthroughs that helped to uncover pathophysiology of the early signs of Alzheimer’s in the human brain and help clinicians to diagnose such changes. He is the chair of the Scientific Program Committee and Board of Directors for the Society of Nuclear Medicine and Molecular Imaging (SNMMI) and the Chair of the Molecular Imaging Committee and a 2014 Vice President of the Radiological Society of North America (RSNA), both of which are well-regarded professional organizations in the field. A graduate of the Chiba University School of Medicine in Chiba, Japan, Minoshima also practiced medicine at the University of Michigan before moving to the University of Washington in 2000. “We are excited to welcome Dr. Minoshima to the University of Utah. He is well-known in the radiology field for his research on various brain disorders and for using innovative imaging technology,” said Vivian S. Lee, M.D., Ph.D., MBA, Senior Vice President for Health Sciences at the University of Utah, Dean of the University’s School of Medicine, and CEO of University of Utah Health Care. “He will be an asset to the University of Utah not only as we advance radiology research, but as we continue to move forward to transform health care in the future,” she said. Minoshima said the University of Utah’s reputation as a forward thinking organization with strong academic visions drew him to Salt Lake City. He added he is excited to become a part of the institution’s rich history, which includes more than 30 board certified sub-specialist radiologists that have expertise in body, neuro, musculoskeletal, chest, cardiac, breast and women’s imaging, and others. He’ll also work closely with the department’s internationally acclaimed research division, Utah Center for Advanced Imaging Research (UCAIR). UCAIR supports all types of imaging research throughout the campus and is comprised of 75 employees including PhD scientists, graduate students, postdoctoral fellows, medical students, clinical radiologists and staff. UCAIR’s goal is to develop novel imaging solutions to important medical problems —an area to which Dr. Minoshima is perfectly suited, said Lee. His background and leadership will also be critical to Univeristy of Utah Health Care’s integrated neurosciences initiative – which integrates clinical and translational science research with imaging analysis, genetics, neural connectivity, and neural engineering and intervention efforts. Minoshima begins his new position on Nov. 1.